Since publishing the post in this blog that reviewed Mitchell Symons's book of facts, trivia, and lists about the BBC Radio programme Desert Island Discs − I have been second-guessing myself about the two lists I presented there of my own music choices. I have been agonizing, for example, over the lack of any Rolling Stones tracks or albums (maybe I should dump Pet Sounds from my album list and "Homeward Bound" from the set of eight individual tracks?). And what about Van Morrison? Gotta have Astral Weeks, I reckon, or maybe Moondance. With only eight tracks to pick from, it's such a drag to eliminate so many of your favourite performers. If we could expand the choice to fifteen, however, that would begin to relieve the psychic pressure! I would feel a whole lot better, as I began adding more essential things. To the list of individual tracks, for example, I would definitely include "Waterloo Sunset" by The Kinks − one of Ray Davies's greatest songs. And an expanded list of albums would also have to include something by The Kinks: Face To Face (1966), perhaps, or Something Else by The Kinks (1967); or something less accessible and more quirky − The Kinks Are the Village Green Preservation Society (1968), for example, or Muswell Hillbillies (1971). I've always been a Kinks fan - going back to the very early days, when they broke through on UK television in the summer of 1964 − on shows like Ready Steady Go! and Top of the Pops − with their hard-rock, riff-laden single "You Really Got Me". They got even more interesting for me when they switched from their hard edge to the laid-back and moody sounds of "Set Me Free" and "See My Friends". Less appealing was the far-too-obvious satire of "A Well Respected Man" and "Dedicated Follower of Fashion", which followed; but then Ray Davies hit his stride in the mid-60s with a string of brilliant singles, like "Sunny Afternoon", "Dead End Street", and the wonderful "Waterloo Sunset". In the UK, The Kinks were appreciated primarily as a singles band − but by 1968 they were concentrating their efforts on making LPs; Ray Davies began to take advantage of the contemporary interest in the "concept album", and eventually created a long series of albums that were put together as a set of theme-related songs. 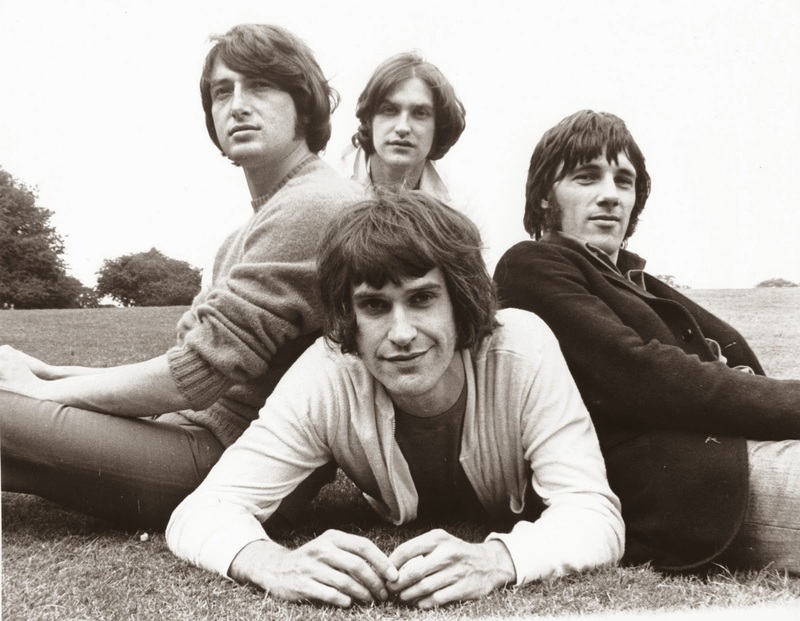 With the relative failure of the band in the UK albums market, The Kinks began to shift their attention to the opportunities opening up for album-artists doing live concert tours in the United States. Americana, an autobiography by Ray Davies released several weeks ago, is an account of Ray Davies's experiences in America - first as the front man for his band The Kinks, and then as a solo artist, after the band split up in 1996. 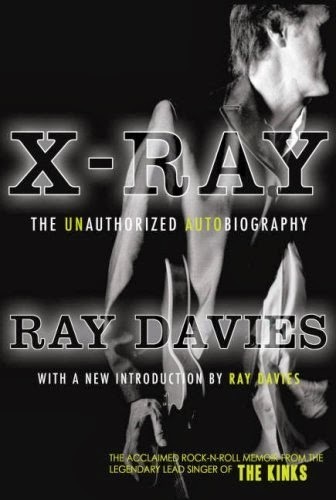 This is not his first autobiography, however; Davies wrote a previous account of his life in his 1994 book X-Ray. He dubbed that previous book his "unauthorized autobiography" − a strange phrase, but used to signal the fact that he took an unusual and interesting tack in telling his story. 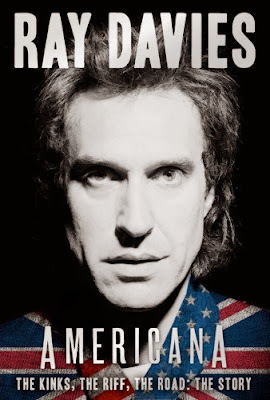 Although it is technically an autobiography, Davies adopts a fictional approach; he uses an unreliable narrator − a nineteen-year-old lad put to work by "the Corporation" − to tell the story of a rather geriatric rock star, a crazed version of Ray Davies himself. Although the book is pitched, then, as a work of fiction, it is still full of factual detail about the London pop scene − and its leading figures − during the "swinging sixties". X-Ray is focused on Ray's early success with The Kinks, and the story ends in 1973. One of the disappointments of that previous book is its inadequate explanation of how The Kinks came to be banned from touring in the U.S., after a disastrous concert tour they did there in 1965. Americana makes up for that lapse − in spades − by giving a full account of The Kinks experiences in the United States, including that first calamitous visit in the mid-60s. Indeed, this second autobiography of Davies − as the title implies − is structured around Ray's life in America. The early sections of the book, set in north London, serve two main purposes: to revisit briefly his early life, in order to explain his political and social attitudes; and to describe the fascination that deprived and repressed English teenagers felt for the culture and lifestyle of America. As Davies's feelings of personal failure grew, he also sensed that he was becoming increasingly isolated from the social and political changes at work in his homeland. He didn't like what he was seeing, and he began to look to the other side of "the pond" for a chance to redeem himself − to establish a new life and a new relationship with his art and music. 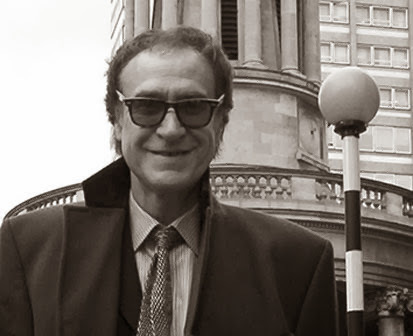 Ray Davies's sense of himself as an uprooted exile seems to go right back to his early childhood in London, when his family moved from Holloway to East Finchley: "It made me feel as if my family had been cut off from its roots." Davies always considered himself a working-class lad. "It was clear both by the way I spoke and behaved that I came from a working-class home. It was a relief for me to know that fact." But things changed. He did remain a staunch Labour supporter, even into the mid-90s, but as he began to make significantly more money, he moved into the commuter belt comfort of semi-rural Surrey − "among Tories and upper-class toffs." But at least he stayed in England − as a matter of principle, he writes − unlike many of his musical peers, who escaped UK residency, in order to avoid the huge taxes imposed on high-earning figures in the entertainment industry. "I opted to stay in England, and in return got taxed to the hilt." 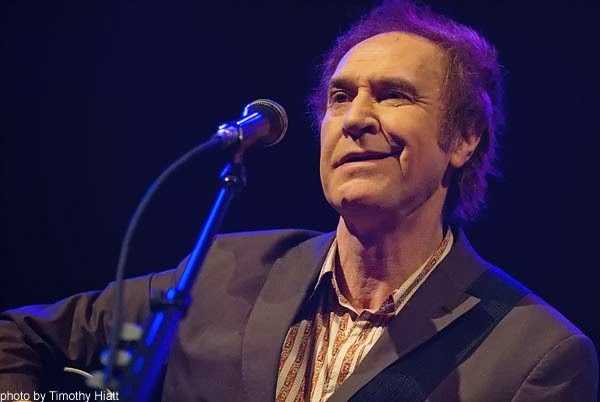 Ray Davies was moving out of step with most English rockers of the period: "I'm not like everybody else," he explained once in a song of the same name that served as the B-side of the "Sunny Afternoon" single. "My dilemma," he writes in Americana, "was that I valued many traditional aspects of the past that are associated with conservatism − but that is often the case with working-class people." This nostalgia for the past emerged in full flower with The Kinks's 1968 LP The Kinks Are the Village Green Preservation Society. Eventually, though, the discrepancy between his retro-conservatism and the contemporary zeitgeist grew too big: "I felt dated," he explains, "because my version of Britain belonged to another time ... maybe I had run out of things to say about England; the England I wrote about had either vanished or only ever existed in my head." So maybe America was the answer to his growing problems? If Davies was growing increasingly disenchanted with his homeland, perhaps a complete change of continent and culture could improve things. From the time of his early teens − like most of his rock 'n' roll contemporaries in Britain − he had looked to North America for inspiration. "I was inspired by its optimism, as opposed to the comparative drabness of postwar suburban London, where I grew up." Finally, he got the chance to see the promised land up close. Davies discovered, unfortunately, that the reality of mid-60s America was far different from the picture he had in his imagination. In 1965, following the trail blazed by The Beatles, The Rolling Stones, and other "British Invasion" beat-groups, The Kinks made their first concert tour of the United States. When he looked at what The Beatles and The Stones had going for them − a "well-oiled publicity machine" − his band "was difficult to cast in any role except that of outsiders ... commercially we seemed ready, but personally we were in complete disarray." The Kinks arrived in June, 1965. The Beatles, and most other visiting groups from Britain "had played the game, adopting American rules of engagement." 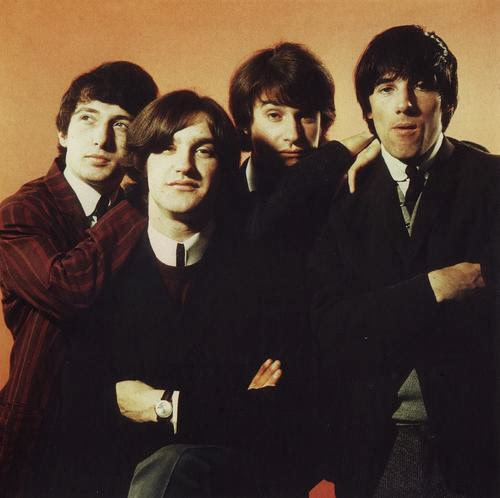 The Kinks, however, "ruffled the feathers of far too many important people." The band was in emotional turmoil. Recently there had been a major blow-up on stage in Cardiff between drummer Mick Avory and lead guitarist Dave Davies − Ray's younger brother. The rift between them was long-standing and still not healed. The tour was very badly organized − and, in the midst of it, their manager Larry Page took off back to England and left the band in the hands of their roadie. Davies still struggles to make sense of what happened. On the one hand, he wants to believe that things were out of their control: "I believe there was something evil going around at that time ... people kept harassing us for various reasons." And yet he recognizes that there might have been something about their manner and their behaviour: "America just didn't understand The Kinks the first time around. We got the impression that we had unknowingly offended and upset a lot of people." Well, apparently! Everything seemed to fall apart. It was a mixture, Ray concludes, of "bad management, bad luck, and bad behaviour." The upshot was this − immediately after the tour was over, the band had an indefinite ban imposed on them; they were no longer welcome in the United States. The ban lasted for four years. What Ray Davies came to realize later was that there were contradictory attitudes presented by The Kinks on stage. The audience couldn't quite get what they were at. Ray often pushed a "foppish, almost effeminate behaviour" during their quieter songs; but they still had that brutal hard-edge in many of the rock songs. After a particularly heavy riff-laden song, Ray might suddenly slip into vaudeville mode and tell a few bad jokes by Max Miller ­− which would be greeted by stunned silence from mid-Western audiences. This idiosyncratic approach continued for many years, through several tours. Added to that particularly American critique, Ray also began to feel estranged from the UK. He sensed a breakdown in manners and morals that came with the new liberal freedoms. He deliberately took up a contrary position. 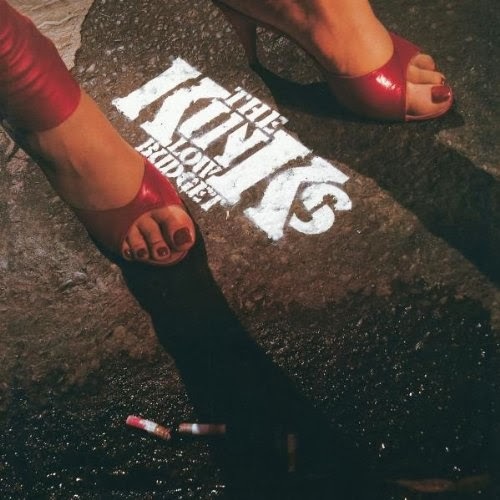 The retro-conservatism and nostalgia of the album The Kinks Are the Village Green Preservation Society was pitched as an antidote to the psychedelic music of that period's prevalent drug-culture. And in future tours of the U.S., Ray writes, The Kinks resisted the "ludicrously overly macho" posturing seen on stage from most American bands. Once the mid-60s ban was lifted, The Kinks decided to concentrate their efforts on becoming a successful live act in the United States. Ray felt that he had burned his bridges in England. He was alienated by the way the culture was developing. The UK market had never really embraced his band as album-artists − they were still considered primarily as purveyors of hit singles. In fact, after 1967's Something Else By The Kinks (apart from several greatest hits albums) not a single LP − not one out of 17 − managed to get into the UK albums chart. Davies, meanwhile, wanted to expand the horizons of his work − to go beyond the rather simplistic notion most people had then of the "concept album". He had ambitions to make the band's live concerts much more theatrical. In this sense, he was moving in the same direction as The Who's Pete Townshend. Fortunately for Davies, RCA Records "were like gentlemen" − and gave the band complete artistic freedom; they supported him through four very mediocre albums: Preservation: Act One (1973), Preservation: Act Two (1974), Soap Opera (1975), and Schoolboys in Disgrace (1975). Each did marginally better than the previous one; but, overall, they served more as souvenirs of the successful live shows. Those who hadn't seen the works as they had originally been planned − stage productions − were left to judge them solely as albums, mere sets of songs. The verdict generally was a reluctant thumbs down. But the rigours of theatrical rock did make The Kinks a much tighter musical unit. Once their contract with RCA was concluded, The Kinks signed with Arista, and came into the personal orbit of company president Clive Davis. He would not allow "such indulgences" as they had enjoyed with their previous employers. Davis wanted MOR commercial music. Ray baulked at that concept, but agreed to deliver a more "accessible" product. Davis steered them away from the vaudeville/operetta approach of their RCA years, and pushed them to adopt the more straight-forward style of a hard-rock band playing large arenas across the continent. From a commercial point-of-view, the strategy was a big success. Of the six albums they put out for Arista between 1977 and 1984, three of them hit the Top 20 chart in the U.S. They hit their peak "in the long climb to success" in America with Low Budget ('79). But as they gained a new and larger audience, Ray felt, he was "losing [himself] in the process." With the end of the Arista period, The Kinks then signed with Irving Azoff at MCA for four records, but their days were numbered and their profile slipped dramatically. 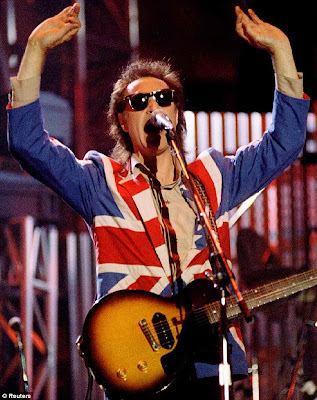 Ray Davies did not much like the shift from their New York base with Arista to the L.A. milieu of the MCA operation. The bloom was off the rose: Davies quotes Gertrude Stein − of all people − once you get there [to the success you craved], you find that "there is no there there." 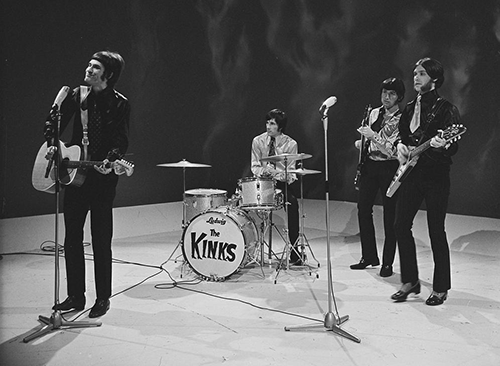 Another brief contract came with Sony Records but The Kinks finally split as a live band in 1996 − the last public performance was at the Norwegian Wood Festival in Oslo on June 15, 1996. The detail Davies provides of this long campaign to conquer America would be of interest, I suppose, for those who followed The Kinks closely during the late 70s and 80s, but I found this section of the book a bit of a slog, and my interest began to flag − as Ray describes the typical adversities of long, tiring tours around the continent, and the backroom machinations of rock industry moguls. 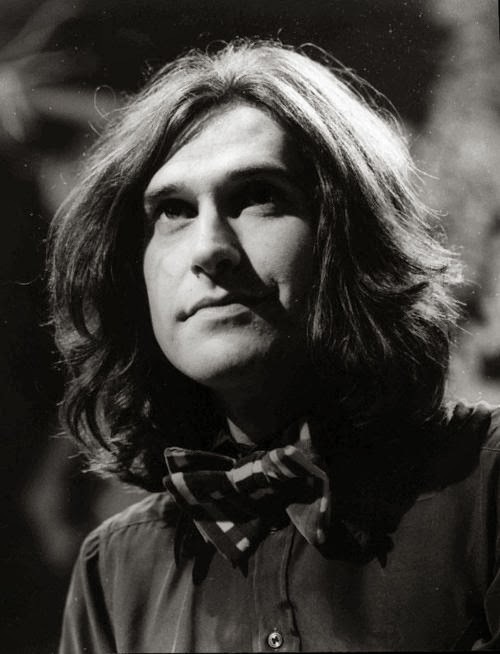 But after The Kinks era was finally over, Ray Davies was faced with life as an individual. And this is where the book gets more intriguing. He continued to travel back and forth constantly between England, Ireland, and the United States − as he pursued both personal and musical interests. But he began to devote more and more time to America. And then, in 2000, he made his first visit to New Orleans, which was to become an important base for him over the next five years. He was now "on the wrong side of fifty" − as he puts it, "and still had nowhere to call home ... now I was alone with a feeling of impermanence." Like many other exiles that he met in New Orleans over the years, Davies admits, he "was running away from something." He thought he was pursuing a dream − looking for musical inspiration from one of the great musical crucibles in America − "to find what I thought to be the true essence of American musical culture." He thought he might have found the place that could be his spiritual home. He describes several romantic relationships during this period, but changes the names and the details to protect his partners' privacy − he even adopts the strange strategy of creating "composite characters" out of some of his female friends. There is a strong undercurrent of unhappiness and loneliness in Davies's account of these years in the Deep South. He establishes several close friendships and associations in New Orleans, but his life seems aimless and unfulfilled. And then on January 4, 2004 − just a few days after it was announced that Davies was to be named a Commander of the Order of the British Empire (CBE) by the Queen − he was shot in the right leg by a mugger in the French Quarter of New Orleans. He resisted the mugger because his companion had all of their ID and money in the purse she was carrying. "The whole American dream had turned into a nightmare." The shock of the incident sent him into a deep trauma. He discovered that he had an abnormally slow heartbeat, which might put him in danger during an operation he required to support his leg - because it emerged after a few days that the shrapnel and infected wound was not the only problem with his right leg, his leg bone had been shattered, and he needed a titanium rod to bolt his leg together. "When I recovered from the physical wounds," Davies admits, "all my past emotional demons came alive to sabotage all my triumphs." Once he'd recovered from the aftermath of the shooting − and it took many months − he felt he had to leave New Orleans. Not only that, he abandoned the U.S. altogether. He came to realize that he was a "drifter who had nowhere to stop ... I always seemed to be on the way to somewhere else." Despite his ambitious plans, and the good intentions of those with whom he had stayed, he understood that "he never really settled anywhere." But he does not regret his long sojourn in the United States: "For better or worse, my adventure in America had made me a wiser person, as well as giving me the will to put myself back on track again." Must alleviate this complicated life." Nonetheless, this is a must-read for Kinks fans and those who admire the long-standing contributions to rock music of songwriter-extraordinaire Raymond Douglas Davies. God save Ray Davies he is not like everybody else, he is the undisputed world champion of songwriters, to fully know & understand all his work throughout is entire 50 year career is to love him because his songs and music become much more than just jukebox music they become a way of life and how you see and look at the world and everyday life. Thanks for your response! I concur with your enthusiasm. I liked his '66-'68 period best. I also loved the LP "Muswell Hillbillies", which Ray signed for me when he came to the HMV store on Yonge St. in Toronto (2006, I think) to promote his solo album "Workingman's Cafe". He told me that the photo on the front cover of the LP was his father's local pub in Muswell Hill (London). Allow me to offer a few corrections to your thoughtful review. 1. I was surprised to read that “Unlike many of the other key British rockers of that period, who came from working-class, or lower middle class, backgrounds, who then went to art college, and had aspirations of rising higher in the social scene, Davies did not go to college and had no such aspirations.” As Ray Davies himself wrote and told so many times, he studied at the Hornsey College of Art and then at the Croydon College of Art. His leanings toward the theatre spring directly from his college training. “Waterloo Sunset” owes its birth in part to RD’s daily commutes over the river while he was a student at Croydon. You will find references to his art college background in innumerable books, articles, and interviews. 2. You write that New Orleans “was to become his home-base for over a decade,” when RD actually lived there only a few years in the early 2000s. He did rent an apartment in New York for close to a decade during the Arista years. Perhaps you got the two cities mixed up. 3. 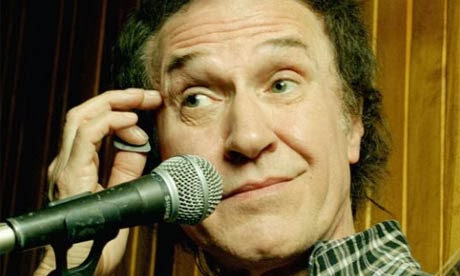 There is no evidence that Ray Davies was ever diagnosed with bipolar disorder, and he has never declared himself bipolar. It appears to be one of those rumors that circulate freely on the Internet but have no basis in fact. Thanks, for your detailed response - and the important corrections. I must have misconstrued something I read in "Americana" about his lack of college education. The "over a decade" comment was simply a mathematical error! I'll take your word about the bipolar disorder being an unsubstantiated rumour. I did get that off the internet. A good example of why research on the internet is risky! I have corrected these mistakes. Thanks for your input! Ray Davies did go to art school. Right. My mistake, which I've corrected. Thanks. There are some slightly incorrect facts stated in what was said above by " Everybody ", but nothing major and nothing that would change the course of history concerning the legacy of Ray. I can not comment further on any of it, so don't ask. Thank you. If anyone needs facts for articles on Ray I would be happy to provide any help to any and with any info and facts that ARE and WERE only meant to be for " PUBLIC " knowledge. The defensiveness and drift in this man's life is so classically illustrated, or symbolized, by the fact that he was born when the Sun, Saturn and Venus were very closely aligned - and right at the point of the summer solstice. On top of this the three of them were located at 90 degrees to Neptune. If it were not for the luck of having a hit single which launched his career, his life would probably have been a mess. That we could all find our muse in the way that ray Davies has the many years. His muse has given many moments of sheer brilliance. I think, perhaps, the Ray Davies Fan Club found my blog! good piece of writing. I have been a fan since 1965.